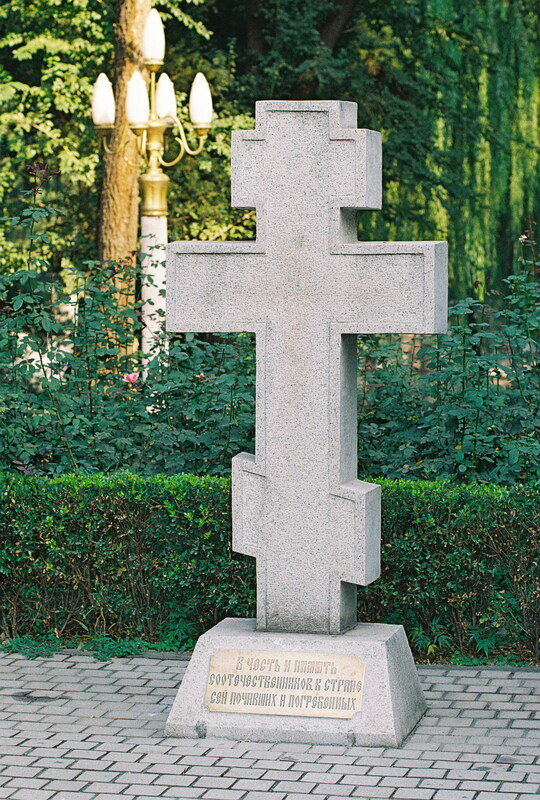 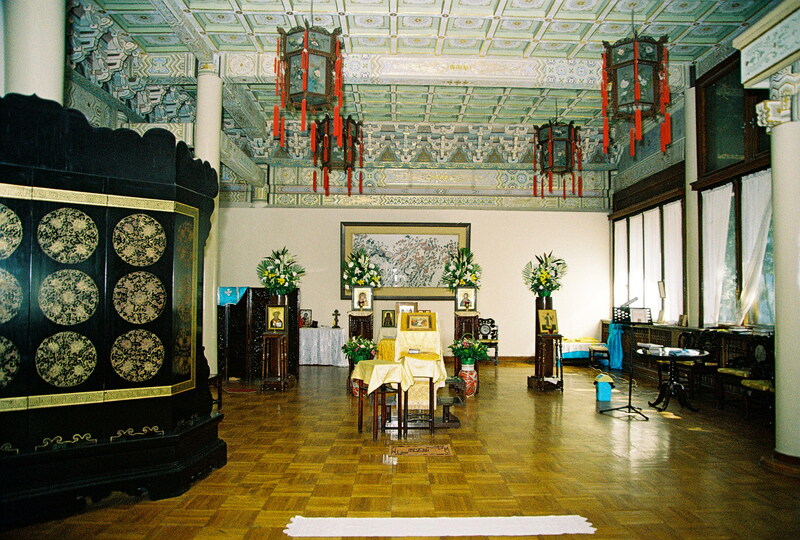 The former St Innokenty of Irkutsk Cross Church was located in what is currently the Russian Embassy at 4 Dongzhimen Beizhongjie in what was originally the archbishopric residence of the Russian Spiritual Mission in Beiguan, Beijing. 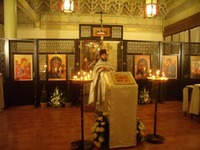 The Cross church (Cross church is a term that means a church in the bishop's living quarters) was located in the left side of the building, while private archbishopric apartments were located on the right side. 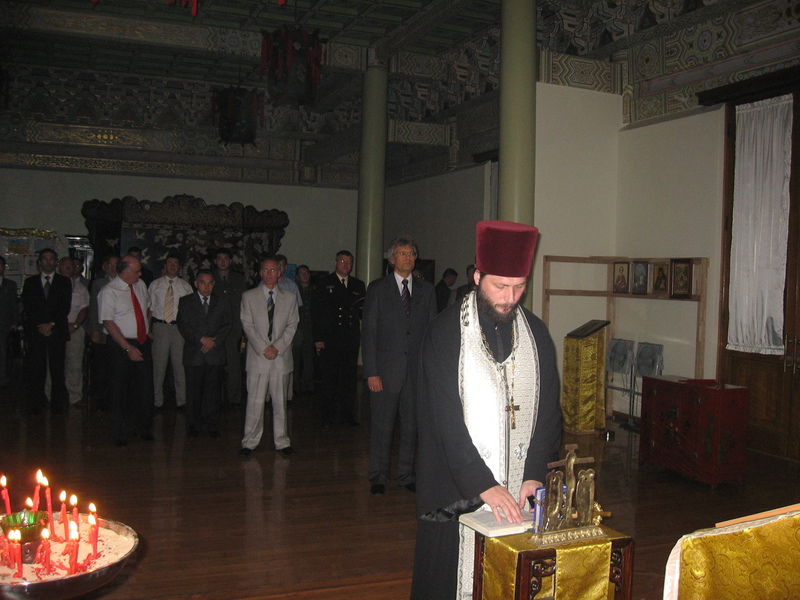 The building was converted into an assembly hall known as the "Red Fangzi" (pronounced as Fanza by the Russians) when transferred over to the Soviet Embassy in 1956. 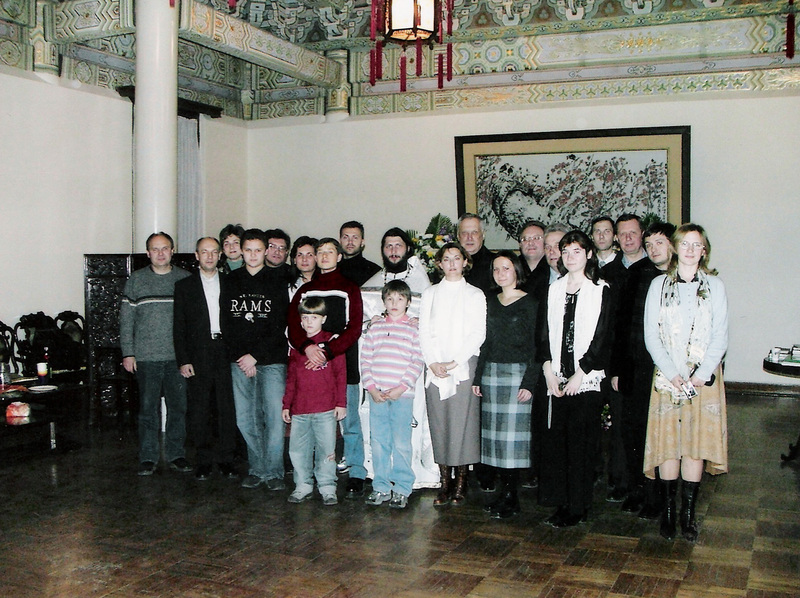 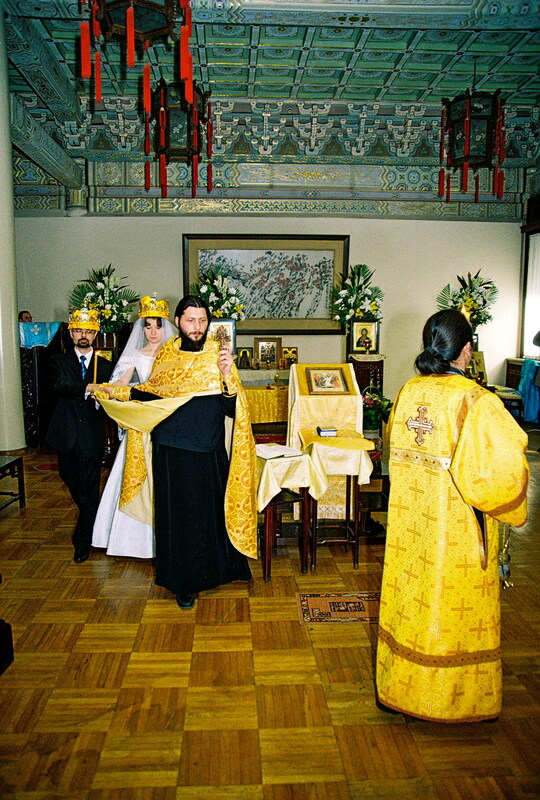 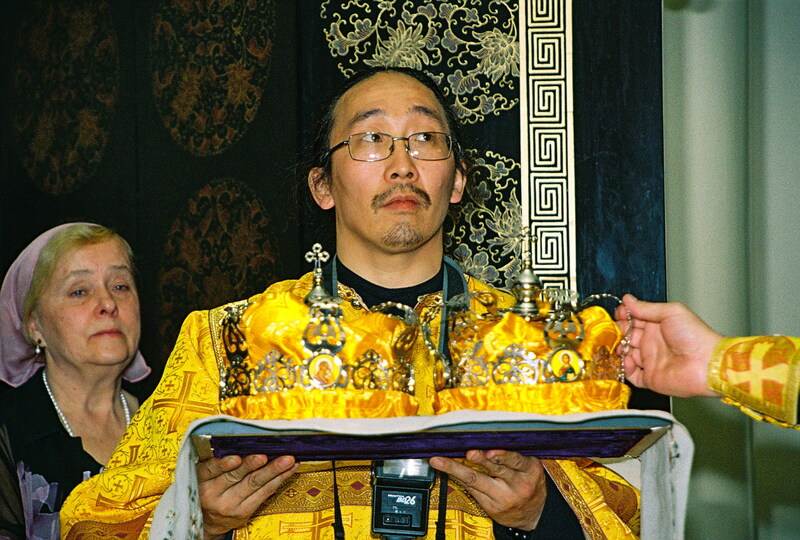 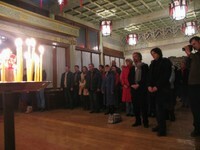 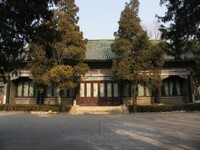 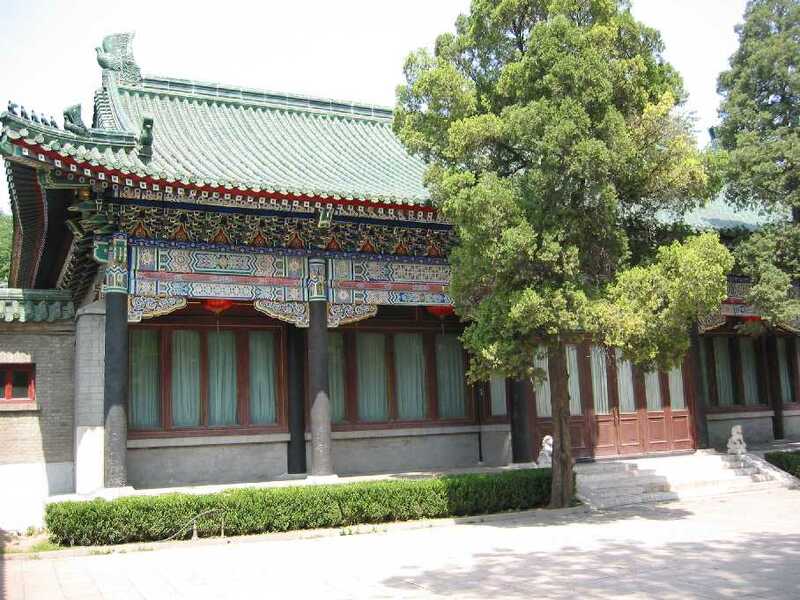 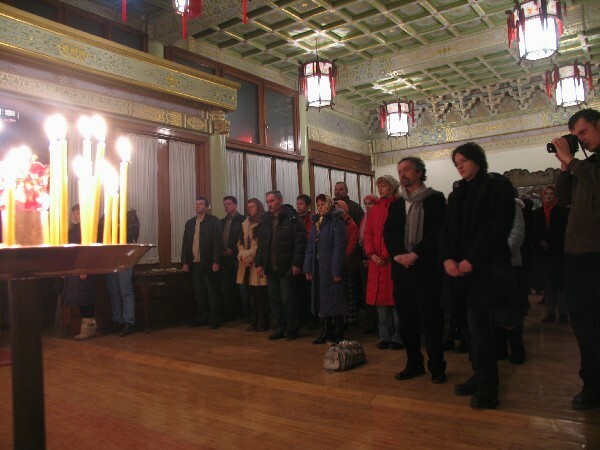 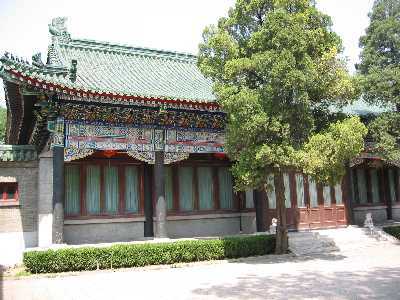 In recent years, the Russian Embassy have allowed divine services to be held in Red Fangzi in the right side of the building for the parish of the Dormition which is comprised of compatriots in Beijing. They recently installed on January 3, 2008 a portable iconostasis. 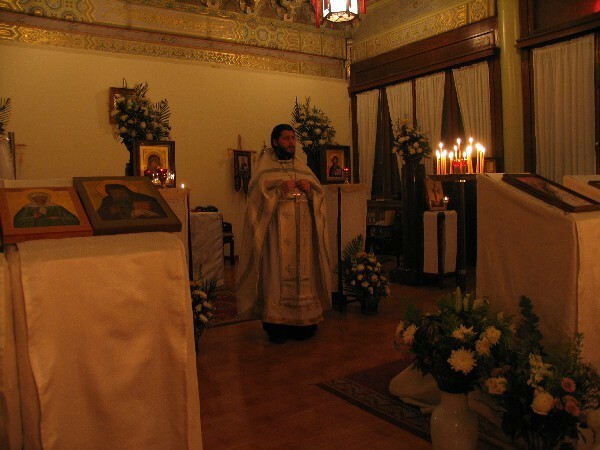 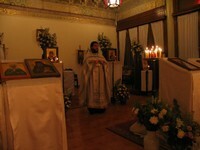 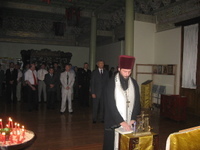 With the recent consecration of the Holy Dormition Church on October 13, 2009, the parish held its last Sunday Liturgy in the Red Fangzi on October 11, 2009 and moved their divine services to the newly restored venerable temple of the Dormition. 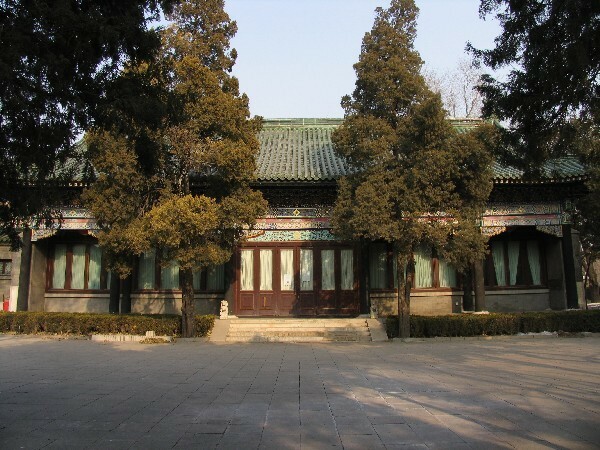 Thereafter the Red Fangzi have been completedly emptied out and is undergoing renovation for Embassy use.